Nope, not a combination of your favourite songs, cos that never seems to work out well. 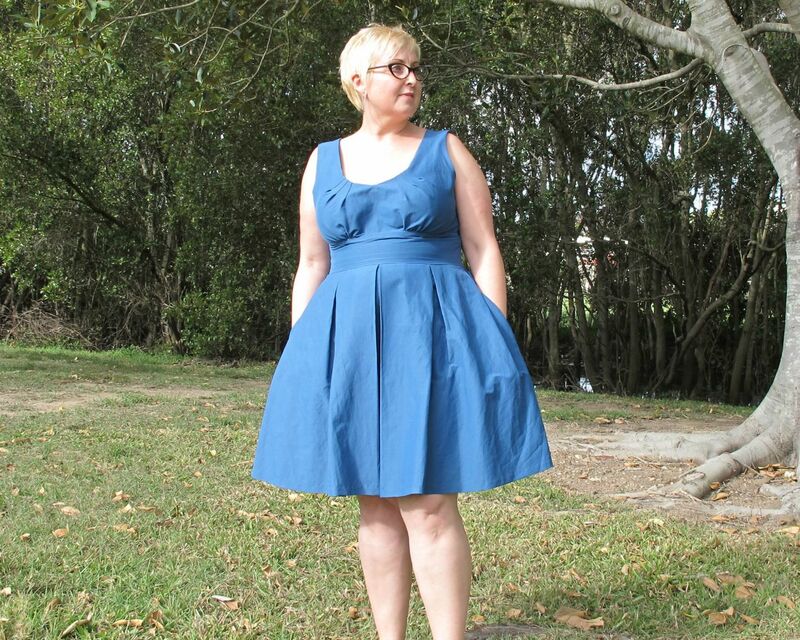 This is a classic mash-up of differing bodice and skirt patterns. It’s one of the things I love about sewing, you take a bit of this and a bit of that and generally you can mash patterns together. 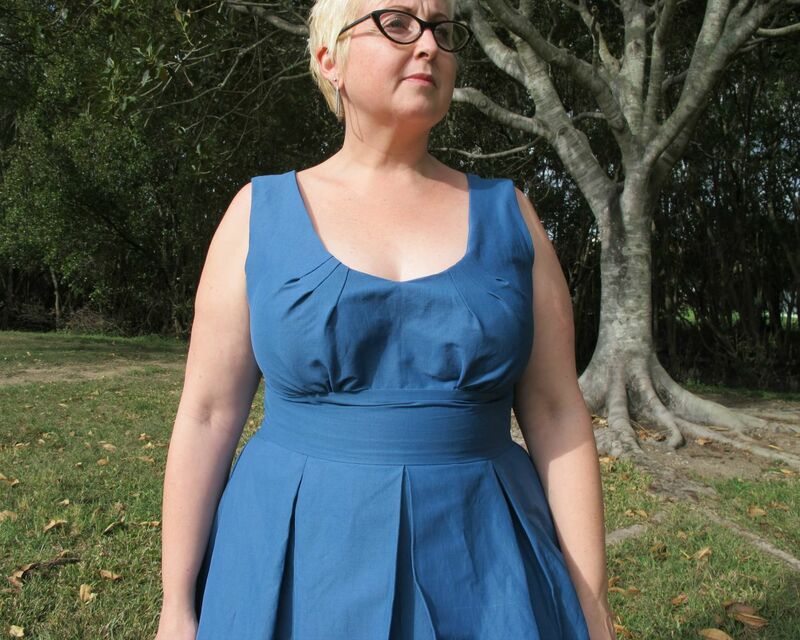 This one is the bodice of Simplicity 2174 View A with the skirt of Vogue 8555. I did alter the skirt to omit the side darts, for two reasons, one, the fabric was quite thick and I didn’t want the extra bulk and secondly I didn’t have enough fabric for this width anyway! 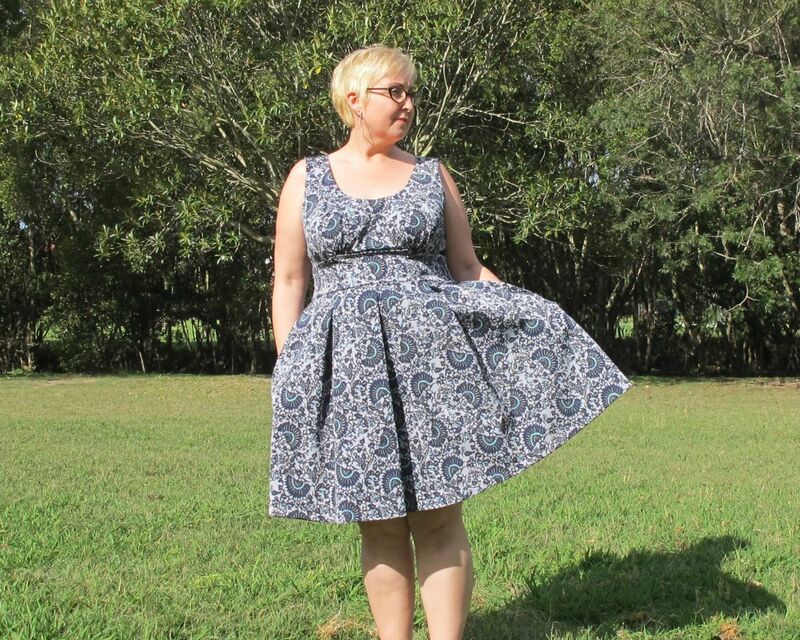 The fabric is a poly ponte bought at The Fabric Store. Even though it is poly, the quality is amazing, wonderful stretch recovery and oh so comfy to wear. As the fabric has some stretch, I omitted the back zipper (so lazy!!). I also omitted the lining and instead went with an all in one facing. 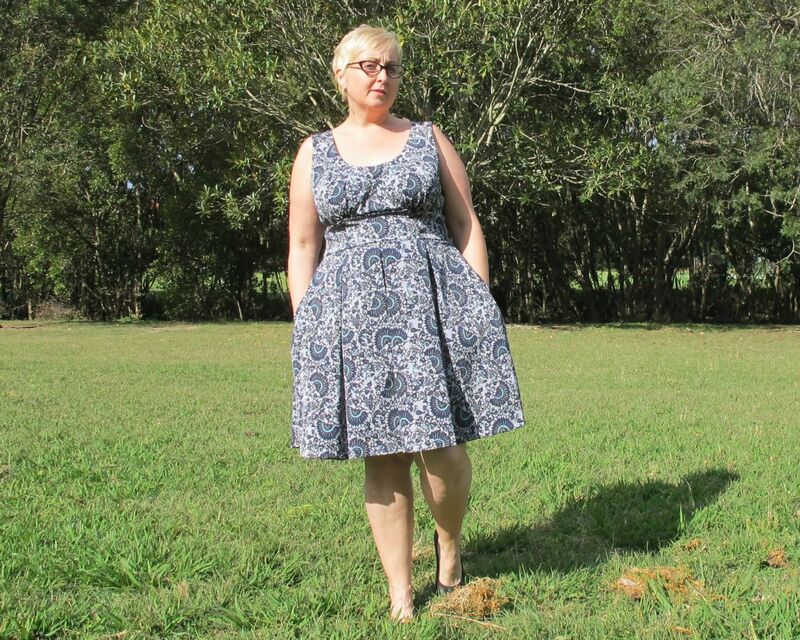 I absolutely love this dress and wear it to work every single week – I love how comfortable it is to wear – it’s like secret pajamas (I seem to be accruing a few of these!!). I NEED more of these dresses!!! 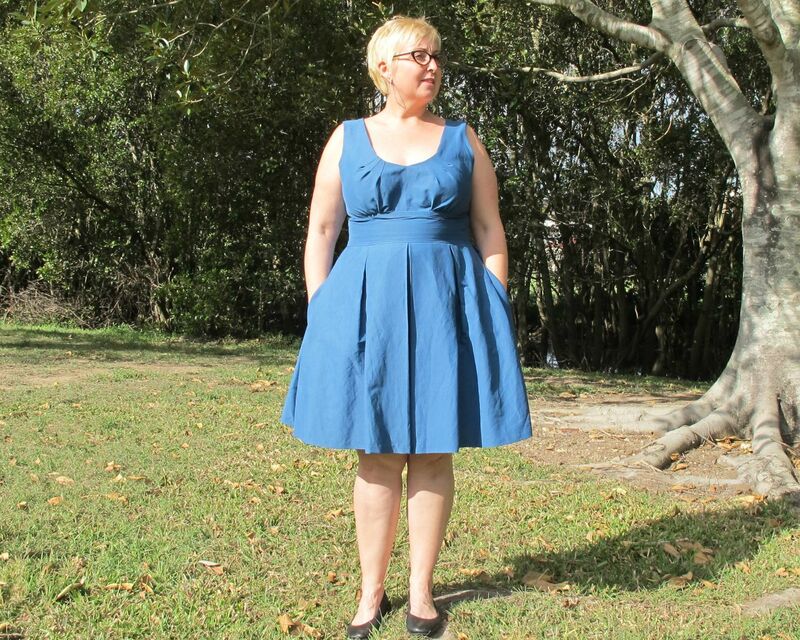 Finally, behold, my Melbourne Frocktails Dress! I know I am remarkably tardy in posting this, but in true Lizzie form, I was chattering way too much at Frocktails to get any pictures of it. Also, going through everyone’s photos here, here and here, one would think I didn’t attend at all as there is little to no photographic evidence! …with one major change. Can you see my zipper? Nope, not the best invisible zipper ever. When I was trying it on for fit with it basted up, I realized I didn’t require one, so I left it off!! I know, weird right? It felt a bit weird omitting it, almost like it’s an unfinished dress, but of course makes the back lovely and flat. The only thing I was a little annoyed at myself for was the pattern matching or lack thereof. When I cut it out for some reason I gave it very little thought and as a result have a stupid double print down the front. Whatevs. The fabric is a gorgeous patterned supposedly silk blend, which I think is maybe 5% silk at best, sure feels flammable, but whatever, it feels amazing to wear and doesn’t crease, so winning! The second (and final) change for this version was to raise the neckline by an inch for a little more safety and to make it a little more wearable for work. Now to my question, if you were going to put a little jacket or cardi over this for layering warmth, what pattern would you use and what colour? I am really having trouble pairing this with anything I currently have. Suggestions please!! As many of you will know, recently Melbourne held their annual Frocktails event. I am terrible when it comes to sewing to a deadline, it’s when the ultimate of distractions happen. Crap, I only have one weekend left, I better get moving!! 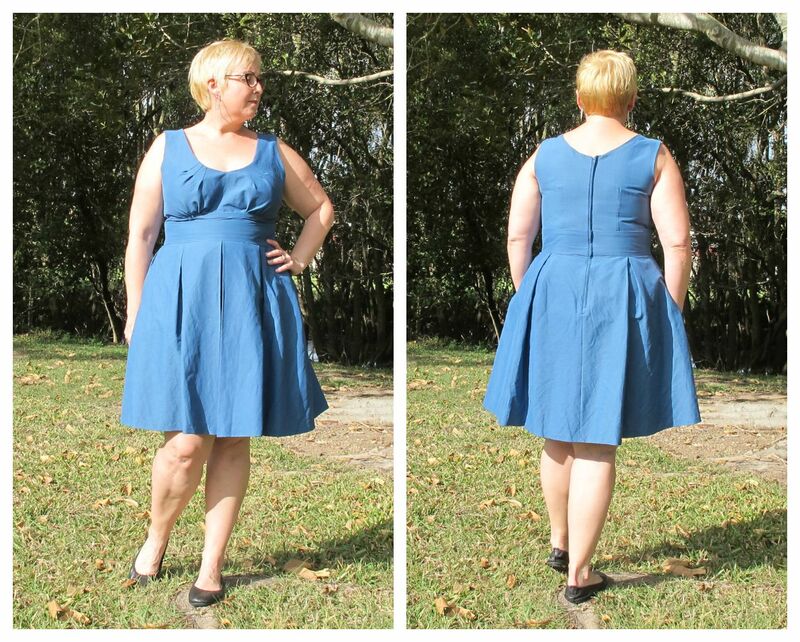 This is my Frocktails practice dress – Vogue 8555. I did a muslin of the bodice first – I generally find it works well for my shape to cut a smaller size in the back than the front. I often do an FBA as well but this time it wasn’t needed! Huzzah!! 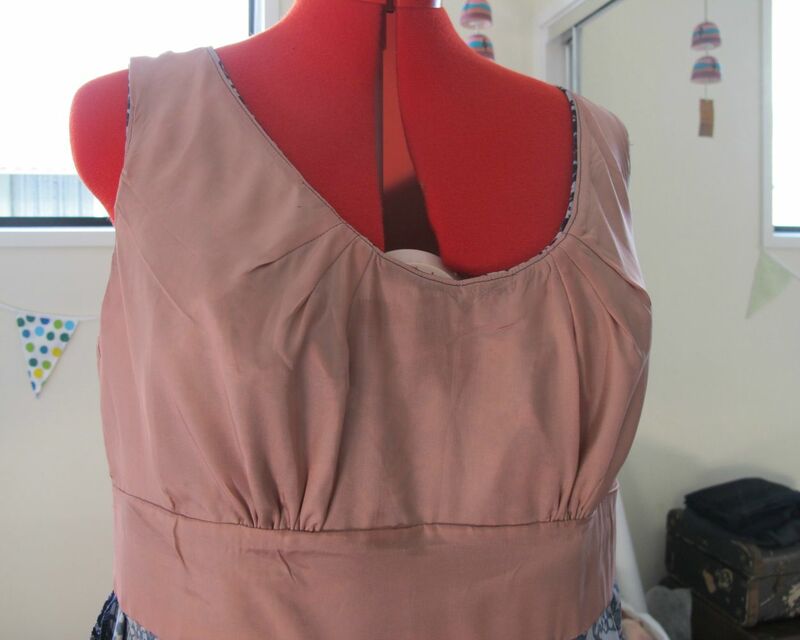 The only adjustments required were a little off the shoulders and narrowing the waistband by approx. 1.5cm. 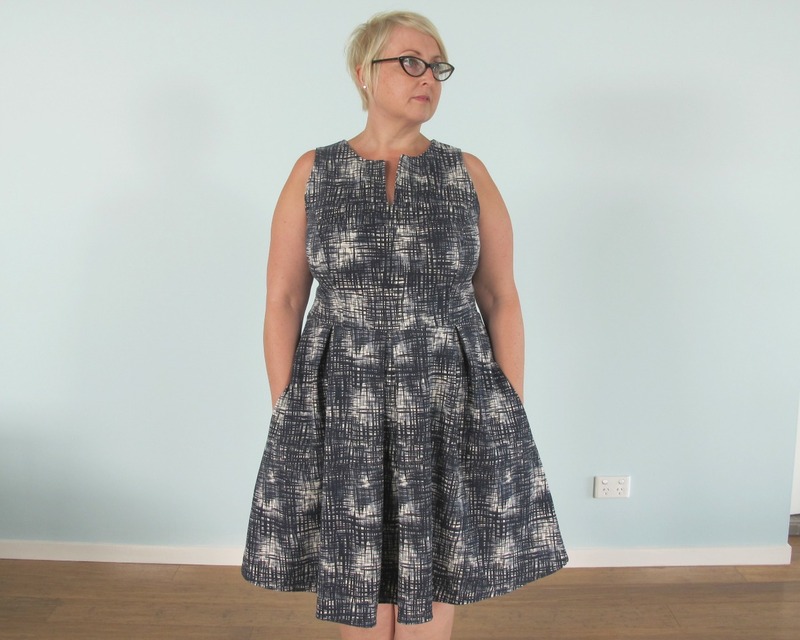 Warning – the neckline is pretty low, I don’t mind this too much normally, but for work I would prefer it higher as I feel like everyone can see down it! 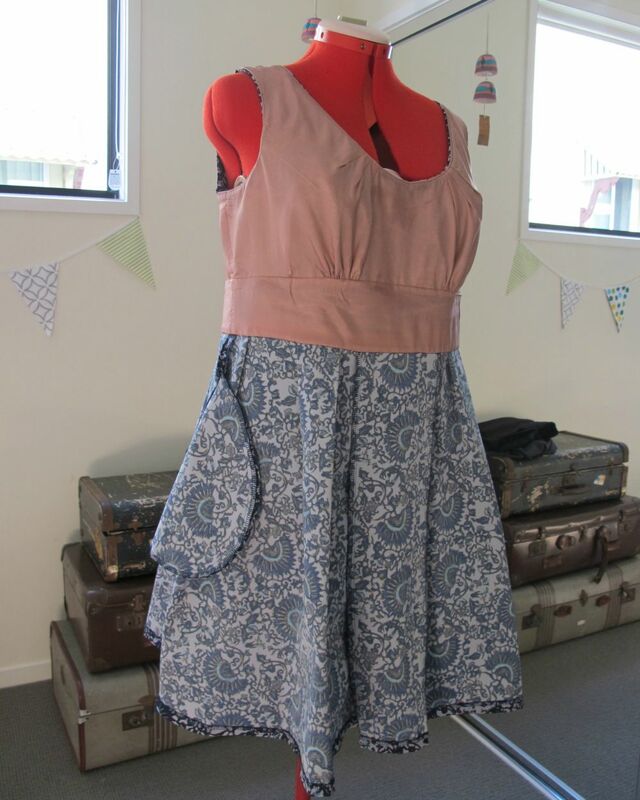 Construction wise, this went together fairly easily and the pattern is marked by Vogue as Easy. The only tricky bit I found was the zip. My fabric has a lengthwise stretch so it kept bubbling when I was inserting it. I ended up having to baste it in first to get it to sit flat – very frustrating, but I got there in the end. I’m no quitter!! 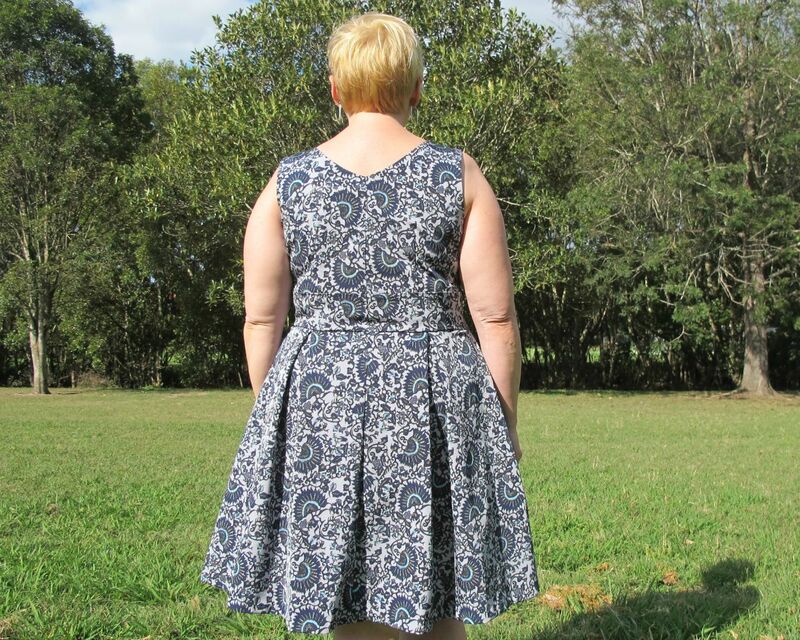 So, spoiler alert, if you haven’t guessed, I used this pattern for my Frocktails dress which I will blog soon! PS – If you’re wondering why I am intently looking left, it’s because the sun was blinding me and I left my sunglasses at home! PPS – Summer is on the way – yay!! Tights begone! !